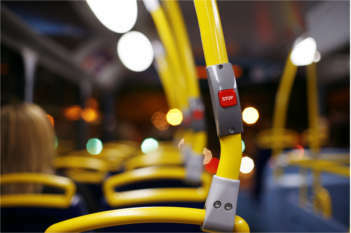 Campaigners have called for action beyond the Bus Services Bill to reverse declining use after estimated journeys in England fell again, while price rises once more outstripped inflation. The Department for Transport’s (DfT) Quarterly Bus Statistics: England for the first quarter of 2016 estimated that there were 4.53 billion passenger journeys in the year ending in March, a fall of 2.5% compared with the previous financial year. Over the same period, local bus fares increased by 1.8%, slightly higher than the all items Retail Prices Index (RPI) rate of inflation (1.6%). Lianna Etkind, public transport campaigner at Campaign for Better Transport, said: ‘The human story behind these figures is that fewer people are taking the bus to work, to the shops and to see friends and family. Since 2010, local authorities have reduced their bus funding by a quarter. She added: ‘We hope that the Bus Services Bill, currently working its way through Parliament, will help reverse the decline in bus usage, and give local authorities the power to plan joined-up bus services that people can rely on. During the year, the downward trend in bus use in England outside London continued with a 2.1% fall. However, bus use in London fell further, by 3.0%. Bus use also fell during the last quarter in London, metropolitan and non-metropolitan areas, compared with the same quarter in 2015, with London again showing the largest fall, at 4.1%. Transport for London has blamed increased congestion and roads works for falling speeds and other impacts on performance. The DfT said local bus fares in England increased by 63% on average between 2005 and 2016. Fares have risen at a faster rate in metropolitan areas (75%) than in non-metropolitan areas (47%). RPI inflation increased by 37% over the same period, which means that bus fares have risen significantly in real terms.